In light of recent events concerning United States Immigration policy, I would like to share the story of my good friend, Emre Discekici, who is also our GSDS Lecture Series Director at UCSB. 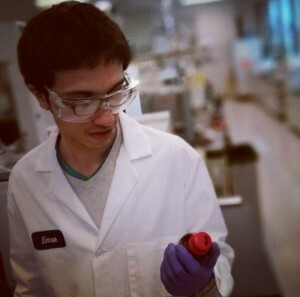 Emre is a second generation American and an outstanding graduate student in the chemistry department. Emre hanging out with his parents, Haluk and Yasuko. He was born in southern Illinois to a Turkish father and Japanese mother. Both his parents immigrated to the United States for graduate school, and by the time of their graduation had two children, Emre and his sister. After completing their degrees, they both found employment at the University of Guam, and made the difficult decision to leave the United States for Guam when Emre was three. Emre and his family were in Guam for about 7 years, during which he attended public school from kindergarten through 4th grade. Due to inadequate resources, the public school system generally struggled to provide a proper education for its students.1 In order to give their children the opportunity for a better education, his parents made the decision to temporarily separate the family and leave their jobs in Guam. 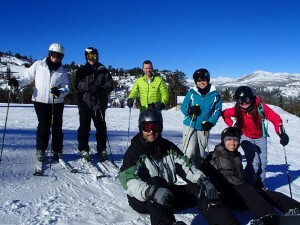 At 10 years old, Emre moved to Chicago with his father and sister to stay with his Aunt. His mother stayed behind in Guam for a short time to provide financial support while his father searched for employment. His father eventually found a job in the suburbs of Chicago and worked to quickly secure independent housing for the family. 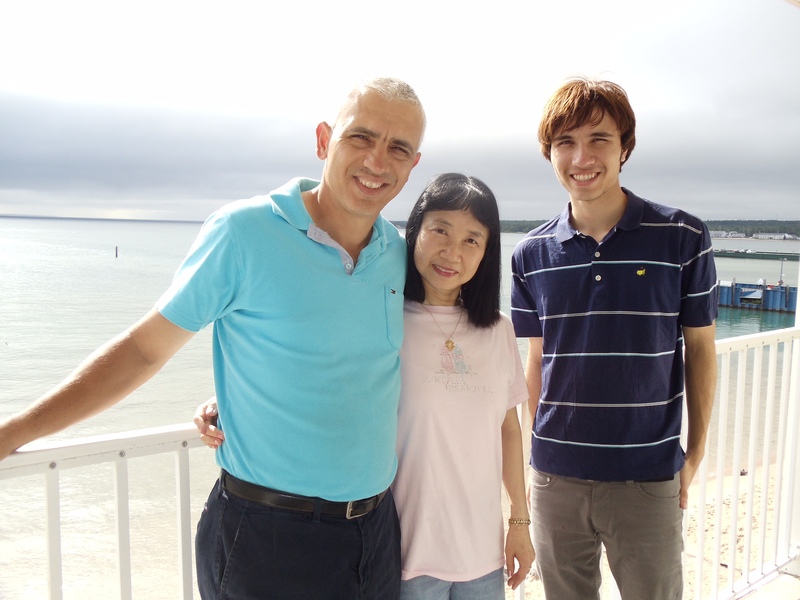 Soon after, Emre’s mother left her position as a professor at the University of Guam and reunited with her family. Emre continued his education in suburban Chicago. Adjusting to a new school in a new country can be a challenge for a 10-year-old. It has been shown that having a sense of belonging in school is crucial in combating feelings of isolation, and is predictive of positive academic outcomes.2 Coming from a new place, Emre did not have many friends. In addition, the comparative lack of quality education in Guam resulted in Emre feeling behind all the other students in 5th grade. His initial struggles to keep up with the curriculum made him feel isolated and insecure about his academic abilities. Ultimately it was his parents that helped him through this tough period of adjustment. Emre’s family moved again and he attended a middle school separate from all of his 5th grade classmates. Though he was not completely confident in his academic ability, by the time he started high school, his friends and family helped foster a sense of belonging. Combined with a humble personality, Emre gained an appreciation for the opportunity of a good education, that his parents had given him and his sister. He recognized the tremendous sacrifices they made, and his intense work ethic is a direct result of how fortunate he feels to have been given this opportunity. Emre attended the University of Illinois at Urbana Champaign where he double majored in Chemistry and Japanese.3 Emre was inspired by his father, who has a master’s degree in Agricultural Science, to pursue a major in a scientific discipline. He worked under Prof. Jeffrey Moore as an undergraduate researcher working in synthetic organic chemistry. His mother inspired him to pursue Japanese as a second major. It also helped him get in touch with his Japanese heritage. During his undergraduate education he was also able to study abroad in Japan. Unfortunately, his trip was cut short by the 2011 earthquake. Emre working at Dow Chemical Company. After returning to the United States, Emre was motivated to find work in the chemical industry to apply what he had learned in school and also to earn money to pay off his student loans. He initially worked at PepsiCo before moving to the Dow Chemical Company. During his time as an undergraduate researcher, Emre knew he would eventually want to return to school for a graduate degree. He first learned about UCSB while at Dow. 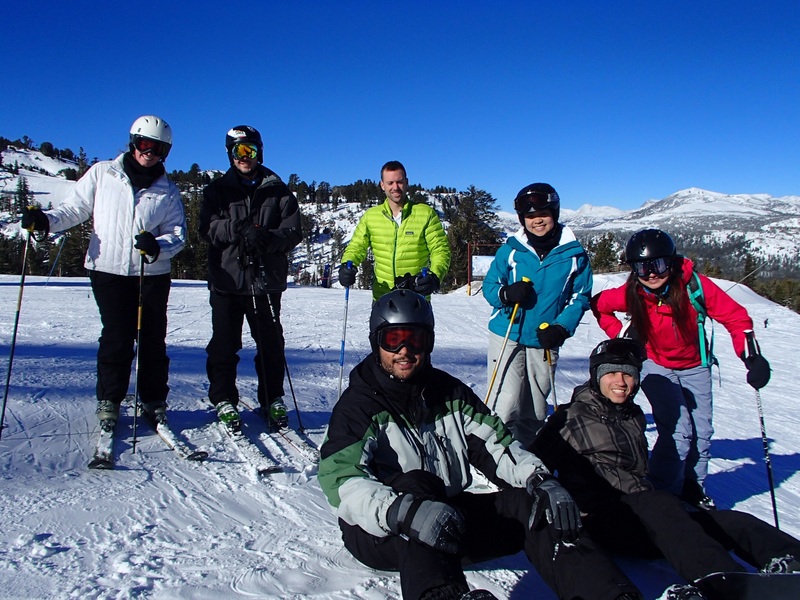 Emre snowboarding in Mammoth with friends from UCSB. Emre has had an extraordinary journey thus far. Having been given the opportunity to go from the Guam public school system to one of the best research institutions in the world here at UCSB made him realize that working hard indeed plays a large role in achieving your dreams, but you still need to be given the opportunity to work hard. He truly believes his parents’ hard work gave him the chance to be successful and pursue his own happiness. Goodenow, C. Classroom Belonging Among Early Adolescent Students: Relationships to Motivation and Achievement. Early Adolesc. 1993, 13 (1), 21–43.